As of July 2018, the rehabilitation of the Oakwood Chapel is complete. Construction resumed in October of 2017, after nearly a year-long delay due to discovery of skeletal remains underneath the building footprint. Components of the rehabilitation include a stabilized concrete foundation, site, drainage and landscaping improvements, restored windows, masonry, plaster, a new cedar shake roof and reclaimed wood floors, as well as upgraded plumbing, mechanical and lighting systems. All building inspections have been completed and the Parks and Recreation Department (PARD) received the certificate of occupancy in June. PARD and the project team look forward to celebrating the reopening of the Oakwood Chapel with a short ceremony at 10am on August 24th. Archeological analysis on the exhumed burials continues at the Texas State University Forensic Archeology lab, and is anticipated to extend through the summer. A final report is anticipated in fall 2018. The Parks Department will continue to provide timely updates related to this reporting, including community engagement opportunities, as it becomes available. As we await to final report, the next phase of the project is seeking community input. In late November 2016, archeologists discovered small bone fragments and several gravestones below the worksite’s soil. Construction was immediately halted. PARD staff informed City leadership of the discovery, including District 1 Council Member Ora Houston. A draft report was developed by PARD in advance of the public meeting on April 11, and PARD collected additional feedback on the content and recommendation of the report for a 10-day period through April 21. 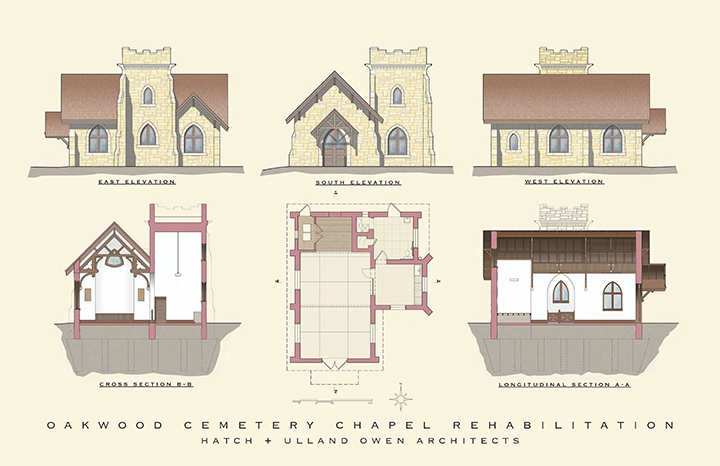 The Oakwood Cemetery Chapel was constructed in 1914 by Austin architect, Charles Page. 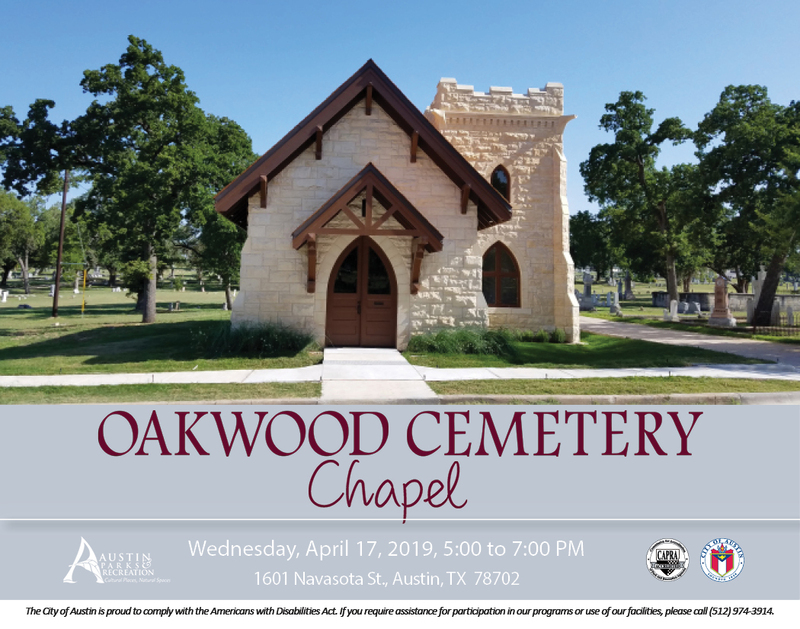 It sits within the Oakwood Cemetery, a City of Austin Historic Landmark, a registered Historic Texas Cemetery, and a National Register of Historic Places site. In the subsequent 100 years since its construction, the building has suffered from uneven foundation settlement and deferred maintenance. Under the 2012 GO Bond funding for Cemeteries, PARD will complete a full rehabilitation of this historically significant structure. Restoration of interior and exterior finishes, including doors, windows, masonry, roof, plaster, etc. Once restored, the building will be programmed in conjunction by PARD’s Cemetery Operations and History, Arts and Nature Divisions as recommended by the COA Historic Cemeteries Master Plan. Portions of the road through Oakwood Cemetery will be resurfaced in August 2018, and vehicle traffic may be limited at times. Pedestrian access will remain with no impacts.